Scotus: The Third Political Branch. When Alexander Hamilton penned the 85th Federalist, Concluding Remarks, in August 1788, eleven states had ratified the Constitution. While there was no practical need to continue his exhaustive writing pace, Hamilton nonetheless summarized in this last Federalist the expected benefits of Constitutional government. Most importantly, the Constitution corrected the major defects of the Articles of Confederation and would restore unity to a rapidly dissolving Union. Having witnessed the threat of individual states allying with European monarchies such as Spain or re-allying with Great Britain, our Framers wisely determined that only a collection of republics were suitable members under the new Constitution.1 Article I § 9 prohibited titles of nobility, and Article IV § 4 Clause 1 guaranteed, to the people, the republican state governing forms of their choice. 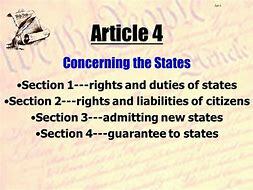 A few months earlier in January of 1788, when ratification was precarious, James Madison elaborated in The Federalist #43 the protections of the Guarantee Clause. First, it protected the people from non-republican government. It is in the interest of all states to harmonize, to share similar approaches to shared concerns. To this end, fellow states have the authority to insist on republican forms, meaning a foundation built on the consent of the governed and not one of hereditary nobility or despotism. Looking closely at the clause, Anti-Federalists suspected it was a slick pretense for the new government to meddle with the various forms of existing state governments. Could the new government dictate the structure of republican state government? Not according to Madison, who wrote, “the authority extends no further than a guarantee of a republican form of government, which assumes a pre-existing government of the form guaranteed. Therefore, as long as the existing republican forms are continued by the states, they are guaranteed by the federal Constitution. Whenever the states may choose to substitute other republican forms, they have the right to do so and claim the federal guarantee. The only restriction is that they shall not exchange republican for anti-republican constitutions. The guarantee clause promises each state a representative government. This promise plainly restricts the freedom of the states. No state may establish a monarchy, a dictatorship, or any other form of government inconsistent with popular representation. At the same time, the words of the guarantee clause limit the power of the federal government to infringe state autonomy; the citizens of a state cannot operate a republican government, choosing their own officials and enacting their own laws, if their government is beholden to Washington. Article IV’s pledge by the United States to guarantee … every State … a Republican Form of Government, may be read as a promise to preserve the state autonomy necessary to foster republican government. Only by leaving the citizens of each state free to establish and run their own governmental bodies can those citizens achieve Madison’s republican ideal of “a government which derives all its powers directly or indirectly from the great body of the people.” The language of the guarantee clause, in other words, has two aspects. On the one hand, the clause prohibits the states from adopting non-republican forms of government. On the other hand, as long as the states adhere to republican principles, the clause forbids the federal government from interfering with the structure of state governments. In a predictable yet unintended twist, scotus’ disregard of the guarantee to republican government led in time to quite unrepublican results: the judicial enshrinement of democracy, race-based electoral districts, and voting as fundamental rights. Being judicially derived, the protection of these “rights” naturally falls to the least republican branch, the one with unchecked lawyers appointed to life terms. Scotus and state courts, rather than state legislatures, design legislative districts without a judicially discernable standard to guide them. It gets worse. Their view of the electorate through race-based lenses inflames centuries-old racial tensions and further encourages political factions intent on power at any cost. Few acts are more political than the design of legislative districts and political acts can be peacefully corrected through the open and deliberative legislative process. Not so with judicial findings. When courts enter political thickets, they diminish the respect due to an institution designed to remain above the give and take and the fray of the political branches. 1. See the 11th Resolution of the Virginia Plan. 2. Harlan dissent to Reynolds v. Sims. 3. Luther v. Borden, and Gettleman, M. E. (1973). The Dorr Rebellion – A Study in American Radicalism 1833-1849. New York: Random House, Inc. 198.